It has been approximately 1 month and 5 days since Halo 4 was released worldwide, giving us ample time to look back on the experience so far and give it a proper review. 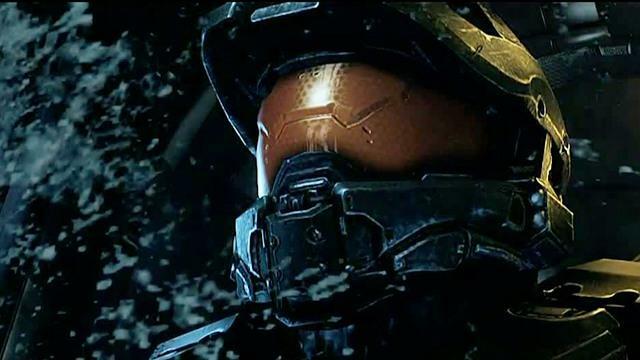 Halo 4 marks 343 Industries’ first entry into the Halo franchise, the torch passing from Bungie after they left to work on the long-awaited Destiny. Taking the reins of a franchise with such a renowned legacy proved to be a monumental task for 343 Industries, so let’s delve into the first instalment of 343’s Reclaimer Trilogy which marks the triumphant return of the Master Chief and his AI companion Cortana. So the best place to start off with Halo 4 is the story, which picks up 4 years, 7 months, 10 days after Halo 3. But at the start, we’re treated to a Prologue scene which depicts Doctor Catherine Halsey, creator of the Spartan-II Project, being interrogated by a mysterious stranger. He’s after answers, and during the brief recap we’re treated to an absolutely stunning display of CGI action scenes, fuelled by Neil Davidge’s emotive score (my full thoughts on Halo 4’s soundtrack can be read here), which really sets the thematic tone for the rest of the game. In this exchange, the morality of the Spartan-II Project is explored through the impact it had on the subjects, something the previous games have hitherto never really looked at. 343 Industries’ writing team have, right off the bat, interweaved the additional fiction with the game which really does make for a more structurally cohesive universe. However, here-in lies Halo 4‘s first issue – exposition. If you haven’t read any of the novels, or taken the time to read around the games, then a lot of you will be lost. The game doesn’t compensate particularly well for those of you who haven’t invested yourselves, which can make moments quite puzzling since the story has resonant connections with a huge variety of sources, ranging from novels to viral advertising campaigns from 2007 (Greg Bear’s Forerunner Saga, Karen Traviss’ Kilo-5 Trilogy, Halo: Evolutions, Halo CEA’s Terminals, Halo 3’s Terminals and the viral IRIS campaign). On the one hand, this is extremely rewarding for a long-time fan like myself who has been invested in these very rich aspects of the Halo franchise, but I suspect that I’m part of a minor few who wouldn’t be scratching my head when all of a sudden the Forerunners start popping up and showing me flashbacks of an ancient human civilisation. This is somewhat compensated for in Halo 4’s Terminals, each one providing layers of exposition for a number of things in the game, but the problem with this is that, unlike the previous games, you can’t watch these in-game. Instead you have to back out and launch Halo Waypoint, which is a massive issue for offline gamers who can’t access this feature because… well, they can’t access it, alienating them from a significant aspect of the story. While the story of Halo 4 itself is fantastic, the storytelling doesn’t do much to compensate for people who haven’t yet looked at Halo beyond the game. This is a significant weakness in my opinion; one which I hope is rectified in the next game. The campaign itself has its strengths and weaknesses. The first three missions drop you right into the familiar territory of the unfamiliar – you’re stuck in space on your way to a Forerunner Shield World called Requiem, your first mission is to get off the decaying Forward Unto Dawn as you get stuck in the planet’s gravity well and things get difficult for John and Cortana (who has outlived the natural lifespan of a smart AI and is going rampant) when the Covenant show up. Again, I would like to bring up the issue of exposition, as the return of the Covenant isn’t actually explained beyond Karen Traviss’ Kilo-5 novels, which is sure to leave some people scratching their heads in confusion. The first thing you’re likely to notice will be the graphics. They. Are. Beautiful. 343 managed to capture a sense of scale perfectly for most of the game, as you’re treated to these massive open vistas of Covenant ships flying around, colossal shifting spires, vast landscapes and waterfalls – it’s all very impressive. However towards the end of the game, I felt that the sense of scale got toned down quite a bit as most of the last 2 missions are spent meandering through corridors and closed rooms. It’s really unfortunate since Halo has built a reputation of showing off its epic scenery, be it the splendour of the Library in Halo 2‘s Sacred Icon mission or the crumbling skyscrapers of ODST, the scale has always been what captures the awe and grandeur of the environment. There’s a moment in Halo 4‘s second mission where you emerge from the wreckage of the Dawn and out of some caves, accompanied by some sombre music, and as you reach the top of a hill the whole environment just opens up in front of you with these massive Forerunner spires dominating the scene, an isolated city built over a stunning waterfall. I’ve played the campaign about 6 times over and that bit just never fails to give me goosebumps, Davidge backs the scene up with an absolutely phenomenal track, suitably named ‘Requiem’. It’s one of those moments that define Halo as a series, a far cry to the opening of the second mission of the first game where you emerge from the escape pod and see the curvature of the Ring ascend into the clouds. In this respect, 343 have done a great job in making Halo 4 feel like the previous games did when you were stuck on an ancient alien world. The only drawback comes from the more linear, closed environments in the last 2 missions. The mission Shutdown was also a bit of a missed opportunity as well. Once the novelty of flying a Pelican wears off (which was awesome), you realise that the skies really are kind of empty and you’re not given much in the way of freedom beyond going to the towers. Overall, I think Reach did a better job with New Alexandria because it’s the one mission that actually made me feel like the whole planet was falling and was littered with UNSC soldiers desperately trying to hold back the Covenant in a variety of locations. The pace of the campaign is a bit off at times, it gets a bit too fast and this seems to be because it’s quite a short game – it took me just over 8 hours to finish it on Heroic for my first playthrough, only slightly longer than the average time it takes to complete most of the other games in the series. It’s a bit disappointing really because the first 3 missions are paced beautifully before the UNSC Infinity arrives and has you run some errands for them, to me this really detracted from the more personal issue of Cortana’s rampancy which plays second-fiddle in the second act of the game – that is, of course, until Cortana loses it and screams at Captain Del Rio, the ensuing conflict providing one of the Master Chief’s greatest moments where he’s ordered to give up Cortana for her “final dispensation”, and despite years of military indoctrination he towers over Del Rio and openly defies him. It’s at this point that we really see how far the relationship between John and Cortana has come over the past 11 years, initially being generally sassy banter during a time where all was well for her, up to the point where John returns to save her from the clutches of the Gravemind in Halo 3 to keep his promise to her. These roles are illustrated beautifully by Steve Downes and Bruce Thomas as Master Chief while Jen Taylor and Mackenzie Mason play Cortana, for the first time in the series Steve and Jen recorded their lines together which really helped bring out the most in their performance, the chemistry between them got extremely intense at times which translated over to the game beautifully – culminating in the emotional finale where Cortana decides she’s not coming back with us, closing with the tear-jerking words: “Welcome home, John”. One of the most emotive performances I’ve ever seen. However there are some characters who are quite weak, Del Rio and Palmer in particular don’t really serve much of a role in the campaign – the former especially just seems to be there as a rather artificial obstacle for John and Cortana and the reason why is never really explored. Palmer is developed primarily in Spartan Ops where “eggheads” and “hingeheads” are the name of the game, leaving her with little to do in the campaign itself beyond stand around and watch events happen. I’d criticise Lasky for the same reason I did the storytelling, but a quick look on YouTube tells me that the Halo 4: Forward Unto Dawn live action series has over 10,000,000 views so the majority of people who got the game are going to know who he is and what his character is like already. One of my biggest issues with Halo 4 though lies with the enemy AI. They’re actually quite bland. I’ll always look back at Halo CE and say that the AI in that game was nothing short of perfect in terms of how they were characterised. Marines would combat roll out the way of grenades where they now just stand about doing nothing, occasionally wandering off to get out the way, Elites and Grunts would desperately claw at their faces to try to remove the plasma grenade I just stuck to them where they now just continue to do nothing. The Promethean-Knights are bloody cowards; they’ll teleport around, recharge their shields in about 3 seconds, and leap on you with their overpowered weapons. They’re not fun to fight on anything beyond Normal. Halo’s enemy AI has generally been pretty good, but I feel that they’re the weakest they’ve been in Halo 4. I’ll round off my talk about Halo 4‘s campaign with some discussion about the ending. Endings have been… well, awful. Games like Bioware’s Mass Effect 3 and Ubisoft’s Assassin’s Creed III have done a shoddy job providing closure to the arc of a character or story, however 343 succeeded where others failed in my view and delivered one of the most emotional, well-written endings this year. It does a brilliant job closing the thematic message of Halo 4. The Prologue starts us off with the questioning of whether John was successful because he was, at his core, broken. 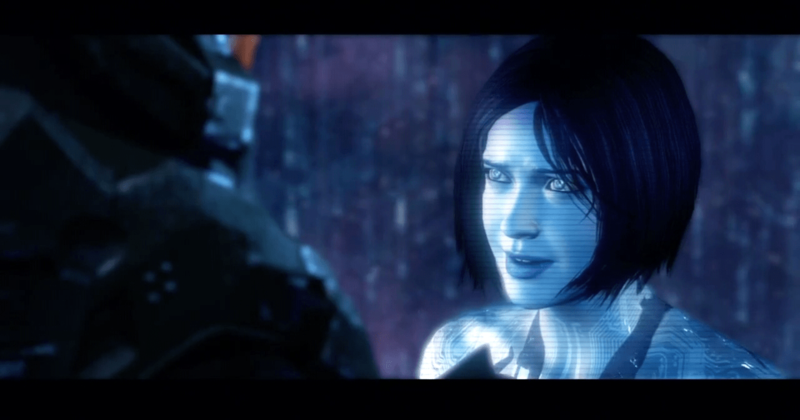 It’s continued throughout the game, Cortana asking John to find out which one of them is really the machine, and culminates in Lasky’s dialogue at the end where he states that soldiers and humanity (machine and man) are no different. We conclude with John removing his armour in the Epilogue, symbolising the exposure of his humanity for what’s really the first time in the series – and it took a machine who really was more human than him to make him realise who he is. The conclusion has finally been drawn that he wasn’t successful because he was broken at his core, but the “tools” which Halsey supplied helped bring out the humanity in John and turned it into his greatest strength. It’s beautifully poetic, and is infinitely more sophisticated development for a character that was treated as a sterile brick for so long. Halo 4’s ending is how an ending to a particular character arc is done right and done well. Cortana is a character we’ve been with for 11 years now, she got the exit she deserved and it had the impact it should. I and many others felt that the crucial aspect of Halo’s core gameplay, the ‘golden triangle’, was rustled up in Reach, but I was pleased to discover that the golden triangle is at the forefront of Halo 4. The gunplay is fast paced and crisp, and it rewards not only the skilful player, but the smart player. Guns not only are satisfying to use, but also sound great and are fun to fight against. At least, mostly. This is juxtaposed by the abundance of DMR users in matchmaking who have taken to using the Active Camouflage ability to hide and pick you off while you run around like a headless chicken – this certainly does detract from the experience on some of the more open maps. I personally favour the Light Rifle and the Carbine in some of the smaller gametypes and the new loadouts system really allow me to customise my abilities to suit how I play. There’s little to nothing in there that’s going to give you a massive edge over others offensively (the exception being the Dexterity upgrade). However the addition of Ordinance Drops adds too much of a random element into the game for me. When my team and I have the enemy locked down and surrounded, after a few kills they can simply call in a Railgun or a Spartan Laser and get back into the game which presents a pretty unfair advantage. 343 seem to have given in to the trend of games being very afraid of telling you that you’re bad, which is a pretty major contrast to Halo 3 where you either won and got the EXP or you lost and gained nothing – I’ve often said that if Bungie added in acknowledgement of kill assists then the game would have been pretty much perfect. I’ve never really been one to care about rank, but the TrueSkill system in Halo 4 just doesn’t work very well since I’m being put against people who have already surpassed SR-100. It makes for a pretty uneven experience at times. The join-in-progress system is also a bit of a let-down to be honest. I find myself joining matches 90% of the time where my team is losing, or the match is nearly finished. It would have been better if there were an option to disable this feature because after experiencing it multiple times I’m sure that most players would turn it off. The maps (created by the well-known company Certain Affinity) all look great, but some play better than others. Ragnarok, Haven, Exile, Longbow, Meltdown and Adrift all play really well, but there are maps like Vortex, Solace and Abandon which are just horrible – the latter’s central lift plays out almost exactly like Sword Base’s yellow lift room. Some of these maps are just simply not designed for Slayer, but the abundance of vehicles and power weapons means that objective games play a lot less methodically and become more about killing to increase your personal score. In fact, with most of the BTB maps you’re going to have a pretty hard time on-foot unless you’re equipped with a Plasma Pistol, plasma grenades and Active Camouflage – and even this just ruins vehicular combat for me. On the other hand, if there’s something I can compliment about the objective modes it’s the new mode Dominion. This plays out like something from Star Wars: Battlefront, you have to capture bases and over time you get resupplied with vehicles and weapons – lock down all the bases and you have to eliminate the enemy team to win. It’s fast-paced, it’s great fun and it works on a variety of maps. You can even build up your own fortifications and turrets which adds an extra dimension to the way the game plays out, so vehicles won’t be quite so dominant when they’re having to choose between killing you or your turrets – the former allows the turret to do greater damage, the latter provides a distraction so you can board the vehicle and kill the occupant. I also like the changes they made to Oddball and CTF, I liked how they merged the latter with the VIP gametype from Halo 3, and being able to throw and catch the Oddball adds a whole new layer of strategy to the game. SPARTAN OPS – EGGHEADS, EGGHEADS EVERYWHERE! Spartan Ops is a brand new game mode in the series, it’s a weekly episodic series of playable missions wrapped in a bacon-coated layer of story set 6 months after the main campaign. Only… it’s not that great. It’s still in its early stages so it’s quite experimental, but I feel that it’s quite a disjointed experience due to the fact that the missions themselves have little or nothing to do with the actual story cutscenes (captured beautifully through CGI) most of the time. The objectives themselves are pretty uninspired, it’s just moving around an enclosed area most of the time to press a switch, and the environments have been extremely repetitive over the past 5 weeks. It’s a shame really because this mode has got so much potential to be great, but right now it’s really lacking the same kind of magic that the campaign had. 343 released an extended trailer for the next 5 episodes yesterday though and it looks like the missions are branching out to a variety of new locations, so I guess time will tell how well this mode does. Right now, it’s not particularly good, but there’s plenty of opportunity to change. One thing in particular that needs to change is the level-scaling, or rather, there needs to actually be level-scaling. Solo-Legendary is a nightmare because the game still treats a single-player match as if there are 4 people playing so you’re unlikely to finish a mission with anything less than 15 deaths. The story itself is excellent though, or so it’s shaping up to be. We’re seeing characters like Halsey, Lasky and Jul get a lot of screen-time (Jen Taylor is working her usual magic with some excellent material written for her), and the Spartan-IVs are somewhat interesting – Thorne especially. Forge has always been one of the best additions to the Halo series, entire communities have flourished through the sharing of maps they’ve slaved away countless hours on. It’s something I’ve always loved and really brought out the best of the custom community – playing various prison-based maps in Halo 3 along with infection games based on the battle of Helms Deep from LOTR are memories I won’t be forgetting any time soon. Reach went one-up from Halo 3 with the introduction of Forge World (but was lacking in object and scenery variety), and Halo 4 has once again taken this further by giving us 3 great Forge maps with a variety of locations to indulge our creative talents. While the pallet options differ little from its predecessor, the art team has retextured and remodelled many of them to fit the new aesthetic of some of the maps and there are new exclusive pieces as well. However, you do quickly realise that you are quite restricted – in terms of map geometry, objects can’t be phased very far through the ground and there’s a lot of bumpy terrain, bad news for anyone who wants a nice flat surface without placing a grid in the air above the map. This ultimately results in very few maps being as open or grounded as those in Reach, and those maps which are eventually completed can’t even be shared with others because the File Sharing system has been down for over a month now. It’s pretty shoddy stuff, and the customs community is suffering because of it, but of course this is not an issue where 343 can just click their fingers and magically fix everything on a whim. I just hope this won’t be a long-term problem. It’s stunning, the true genius of 343’s art team shines in this particular shot. Only you, the common player, can’t capture it in the game since there’s no campaign theatre… It’s unfortunate, I know, and it seems like they’re working on it to be implemented in a title update sometime in the future, but really it’s something that ought to be in the game from the start because of how important it is to the community. I’ll close this review now, since I think I’ve rambled on enough. 343 have delivered a great game, a worthy successor to Halo 3 and a breath of fresh air after the stale aftertaste of Reach. The story is great, but doesn’t accommodate people who haven’t invested themselves in the Halo universe. The campaign is fun, but could really do with an extra few missions (an extra one alone between Requiem and Forerunner, and the Composer mission should be split into 2 levels on the Halo Ring). The multiplayer has a lot of replayability with lots of things to do, but it’s dragged down by a great deal of bells and whistles. Spartan Ops provides an enticing new story, but is overall a pretty shallow experience so far. I wish the best of luck to 343 Industries for the future, they’ve got a lot to work on to improve this game and I hope that they’ll implement the lessons they learned from Halo 4 into Halo 5. I have to say, I do disagree about the promethean knights. I wish they got more intelligent, but I find them very fun to fight at heroic and legendary. If anything they are too easy once you figure them out. I love scattershotting them especially. Having to bum-rush them creates a nice bit of excitement. Very well said. I agree with a lot of what you’ve said, especially in regards to the weaker and more passive enemy AI.